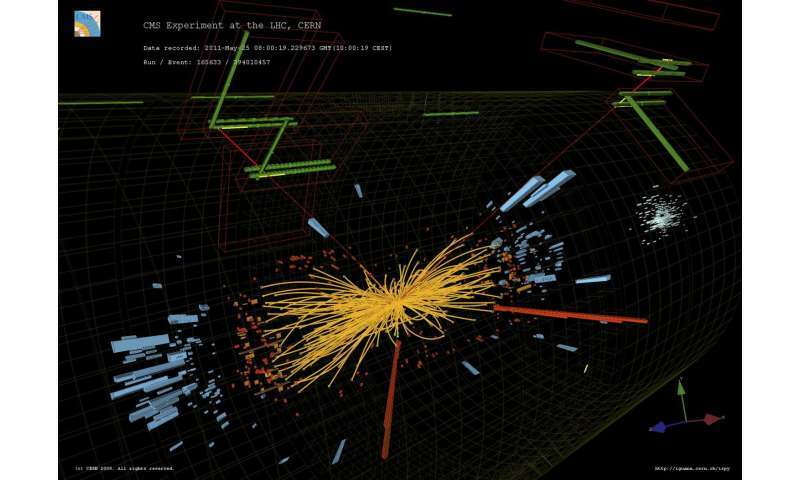 Using data from a series of experiments that led to the discovery and first exploration of the Higgs boson at the European Organization for Nuclear Research (CERN) in 2012, the group established what they call the Madala hypothesis, in describing a new boson, named as the Madala boson. 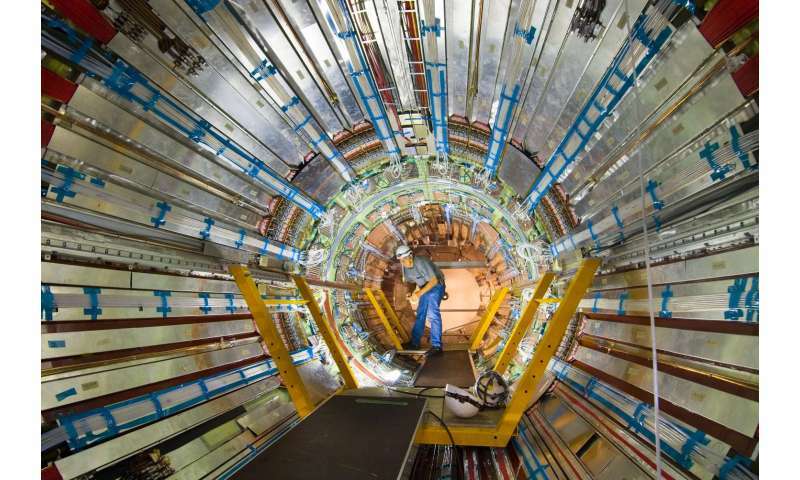 The experiment was repeated in 2015 and 2016, after a two-and-a-half year shut-down of the Large Hadron Collider (LHC) at CERN. The data reported by the LHC experiments in 2016 have corroborated the features in the data that triggered the Madala hypothesis in the first place. "Based on a number of features and peculiarities of the data reported by the experiments at the LHC and collected up to the end of 2012, the Wits HEP group in collaboration with scientists in India and Sweden formulated the Madala hypothesis," says Professor Bruce Mellado, team leader of the HEP group at Wits. "Physics today is at a crossroads similar to the times of Einstein and the fathers of Quantum Mechanics," says Mellado. "Classical physics failed to explain a number of phenomena and, as a result, it needed to be revolutionised with new concepts, such as relativity and quantum physics, leading to the creation of what we know now as modern physics." "With the Madala hypothesis predictions of striking signatures are made, that is being pursued by the young scientists of the Wits HEP group." Some of these scientists include Dr. Deepak Kar and Dr. Xifeng Ruan, two new academic staff in the group, who have years of expertise at the LHC. 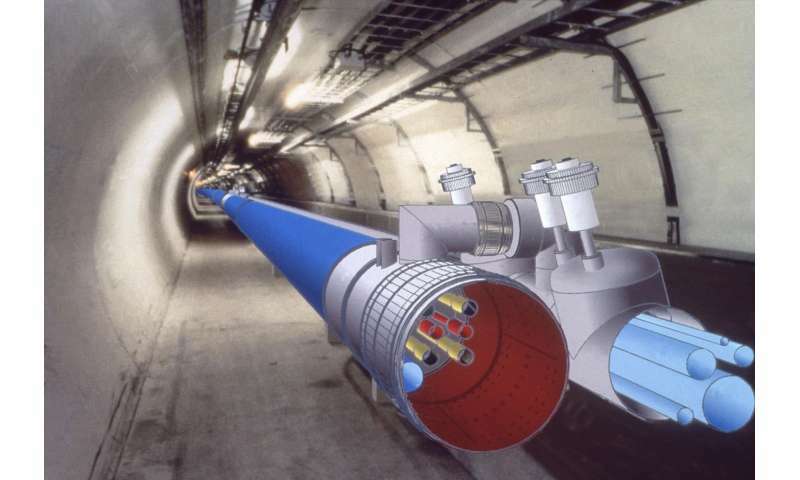 Based on a number of features in the proton-proton collision data collected during Run I by the ATLAS and CMS experiments at the Large Hadron Collider, the Madala hypothesis was formulated. These features in the data were interpreted as being due to the existence of a new scalar, the Madala boson, with a mass around 270 GeV. A conservative statistical combination yielded a three sigma effect. The ATLAS and CMS collaboration have just released new data at the international conference ICHEP2016. Prof. Mellado will summarise the reappearance of these features in the data that were used to formulate the Madala hypothesis, and its implications. In particular, Mellado will discuss a prediction, namely of the production of anomalously large 4 W bosons, leading to a striking and unequivocal signature. I thought the 750Gev was the Di-Photon signature which proved to not be anything at all? I was a bit lost with this article. I think it said, there might be new stuff to learn. Oh really!!!! If I'm not mistaken Madala is a village in India and it also means 'old man' in Zulu...any more want the fame name? Finding a new particle is certainly possible. Finding imaginary matter is highly unlikely. It sounds like they're putting on some sort of travelling medicine show to hawk their new theory: why not just publish it in a reputable journal? With the discovery of the Higgs boson at the LHC in 2012, for which the Nobel Prize in Physics was awarded in 2013, the Standard Model of Physics is now complete. And yet they have found evidence of new particles.. so somehow I doubt that the standard model is complete.. far from it. I doubt that the standard model is complete.. far from it. Right... We know it's not complete. It's not meant to be 'complete' per se. It's a very nice description of the simplest field theory that describes the vast majority of the relevant experimental data we observe. But it's neither the first word on the subject nor the last. Just a very important milestone description along the way. Sure, why not, we don't know anything or how to correctly interpret the data. So there must exist something that can explain our stupidity. @shavera quite. I think the other important factor is that the 'classification' or Std.M. is our way of grouping entities together so the we, as humans, can better understand them. Whether that is true for the entities themselves (that is, exisit in Nature) is quite another question. @Whydening Gyre, well maybe, but our minds do like to put 'things' into slots so we can make some kind of order out of 'nature' so that it's less confusing...'cos who said 'nature is weird'? As an analogy, wouldn't it take a lot longer when shopping if all fruits were mixed on the shelves/in boxes or all meat was mixed (hell, what a job separating minced meat, Ha!). But do they actually grow like that in the wild? What exactly is a particle? Some local thickening of quantum foam, forming the vacuum, which can have center of mass assigned. There are arbitrary criterion regarding the lifetime of particle: until it doesn't live longer than the photon at distance, which the particle is supposed to occur, it's labeled as a https://en.wikipe...sics%29. IMO most of particles of cold dark matter are actually a resonances on the verge of classical and virtual particles. A quantized form of energy. At least the rest mass. It displaces dark energy/matter.The lighter weight (gravitational force) of dark energy/matter collects it into objects. That should be dark energy/mass. There is more of it above your head than below your feet. So you get pushed down. Not rocket science. Energy and mass are physical quantities, whereas particle is physical object. It's like to say, that that particle is temperature or electric potential. BTW This is very common way of thinking between contemporary students, who know physics only from abstract equations. Yes. Try telling your students there's more of it above your head than below your feet. That should get their attention. Glad I got out of that business. Probably a lot of other people are too. A 'particle' can have many different meanings in physics, depending on context. In classical physics, a particle can simply be an object, usually one much smaller than whatever nominal length scale is under question. In quantum field theories, fields (something you can calculate a value for over all points in space-time) have 'quantized excitations.' eg: imagine small masses connected to one another by springs in 3 dimensions, and you pluck one mass. Its disturbance will push and pull on the other ones around it, causing a ripple/wave throughout the system. That's a classical field theory. A quantum field theory would say that the ripple created can only come in discrete little 'ripple packets.' And when you have enough of these little packets, they all smooth out to looking like the classical example anyway. These little packets are 'particles.' They have momentum and energy and maybe 'mass' (if their momentum doesn't equal their energy). why not just publish it in a reputable journal? If you go to the link physman provided then these are based on preliminary analyses from enf of March 2016. Even if they did start to write a paper immediately (which I wouldn't do based merely on preliminary analysis..I'd wait till the full set of anaylses is run) then the entire writing, submission and peer review cycle can take quite a few months to more than a year (in unfortunate circumstances sometimes up to two years). I'm pretty sure they will submit for publishing unless the full analysis alters the picture. Saying that the standard model is incomplete isn't a sign of genius (everybody knows that - and yes: this includes every scientist, ever). Coming up with something that augments/replaces it is genius. Within quantum field theories there are 'fundamental fields': ie, things that define the actual 'matter' and 'forces' in our universe, like electron fields, electromagnetic fields, quark fields, and so on. Then there are 'effective fields' where you can use a quantum field theory to describe a complex situation even though it's not a field that exists universally throughout all of space. For instance, the electromagnetic field inside of a material: you could use the 'fundamental' field theory to look at photons and electrons and quarks... or you can use a simplified version of the same that has its own kinds of particles (phonons, eg) that behave in their own way depending on the material. Everything is defined by the fields. The non-particles are busy, creating the fields. We call it charge. Simpler to call it an object, it's everywhere. still waiting for a selfie of the Higgs. Careful, mate, or you'll have the abstraction maths junkies after you! Because basically, you just gave a perfectly succinct description of the physical AETHER theories and the various manifestations of same, from the fundamental unified Universally Ubiquitous level, to the various higher level Locally Emergent types! Recall Einstein's Leyden Address? He explained the abstract 'space-time' construct. He admitted it took away any physical properties of the [REAL] Aether(s), and just treated the underlying physical reality as abstract fields/maths terms, quantities etc. In short, he basically GAVE UP on actually explaining the underlying physical entities and properties; so mathematicians finally just treat it all abstractly as 'space-time fields' for their Relativity equations/quantities (without any clue or explanation of what the actual physical entities/properties of the underlying REAL PHYSICAL THING 'FIELD' is). @Hyperfuzzy No, no, you misunderstood. It's 'return to Innocence' by Enigma...Ha!